The cabinets will be used to transport and securely store the ITT equipment, the framework is manufactured from 40mm x 3mm SHS and 1.2mm sheet metal infill panels. 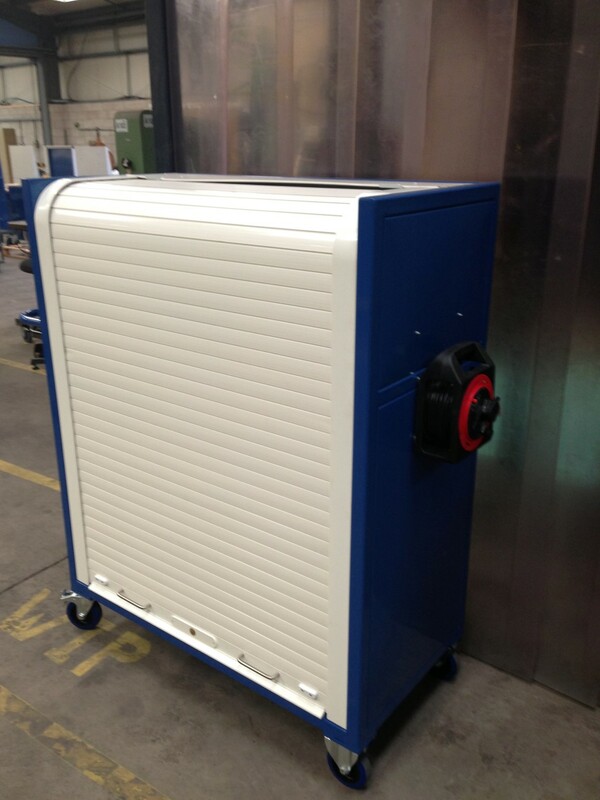 A full length lockable roller shutter door allowing full access to the interior of the cabinet is fitted to the front of the unit. The cabinet is fitted with 4 off 125mm diameter castors 2 off swivel with brake and 2off fixed with blue elastic tyre wheels. These are smooth, quiet and hardwearing.